As most of you can probably guess.. I am a pretty big small animal enthusiast. I love all small animals (and really just about all other animals too.) As you might imagine, I have a lot of knowledge about products, and beneficial things to have for small animals. I am constantly on the look out for the newest, latest, and greatest small animal items. And that's why I am extremely happy to have found the "BioBubble." The BioBubble, in my opinion, is pretty revolutionary for a small animal habitat. 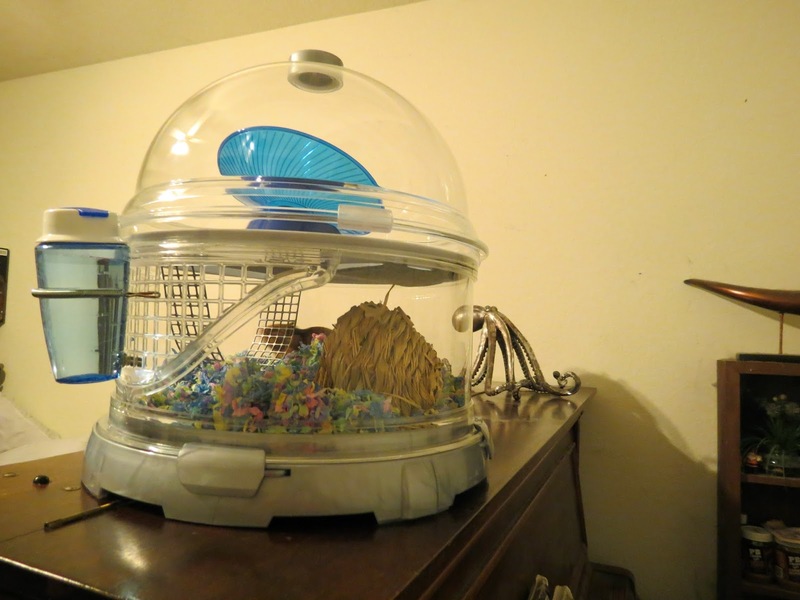 Usually cages for hamsters are pretty lame. They're cheap plastic, with the ugly tubes, and they're always such a pain to clean! 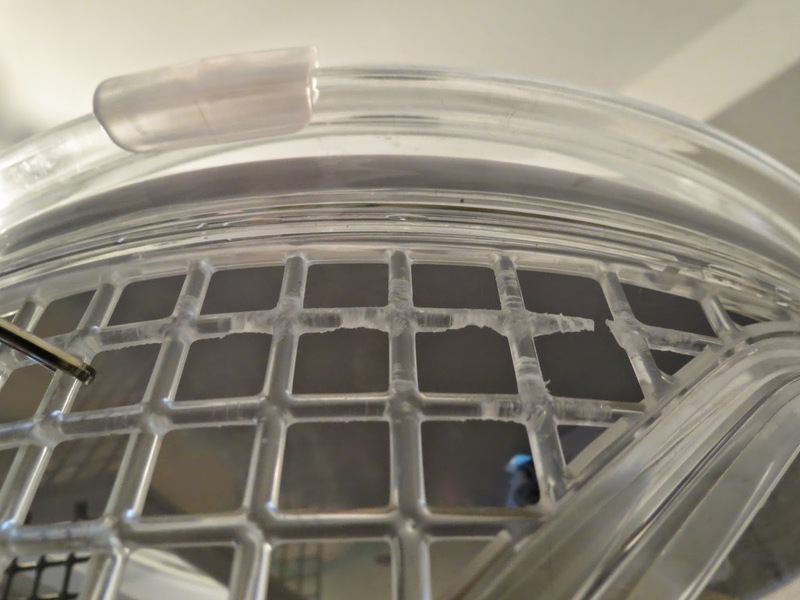 The BioBubble is a complete 180 to normal cages. 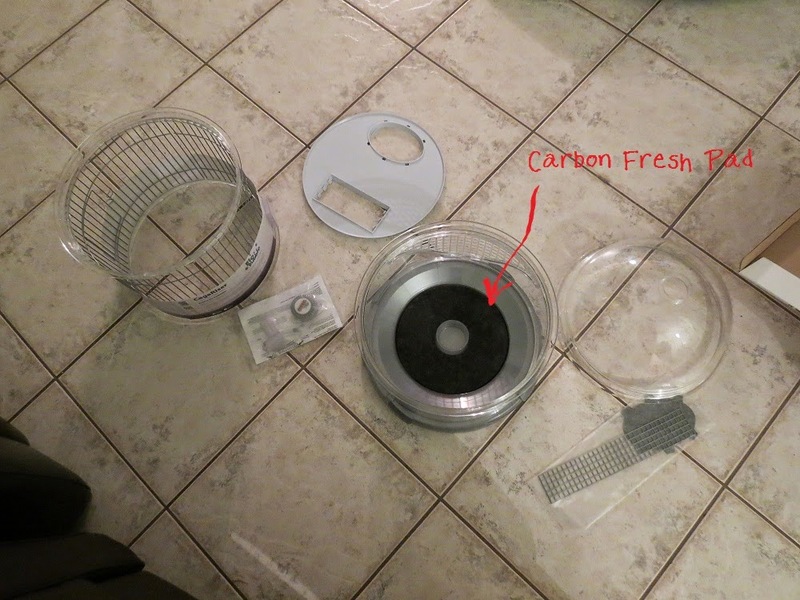 First off, at the bottom it has a Carbon Fresh Pad (Which is completely replaceable as you need them) which helps to reduce odor. I've had the same pad for two weeks (They're generally good for 4-6 weeks) and so far, I have not had any smell coming from my cage; With a regular weekly cage cleaning. Setup is extremely easy. It's really just basic stacking. You do have two options though. There is a riser (Which can also be used to turn your hamster cage into a bird cage - Which I find absolutely awesome!!) which you can use to have a tall cage, with a lot more open space, or you can simply use the dome, and have a nice cozy habitat. I've started with the small dome, but I am planning on switching to the riser version soon. 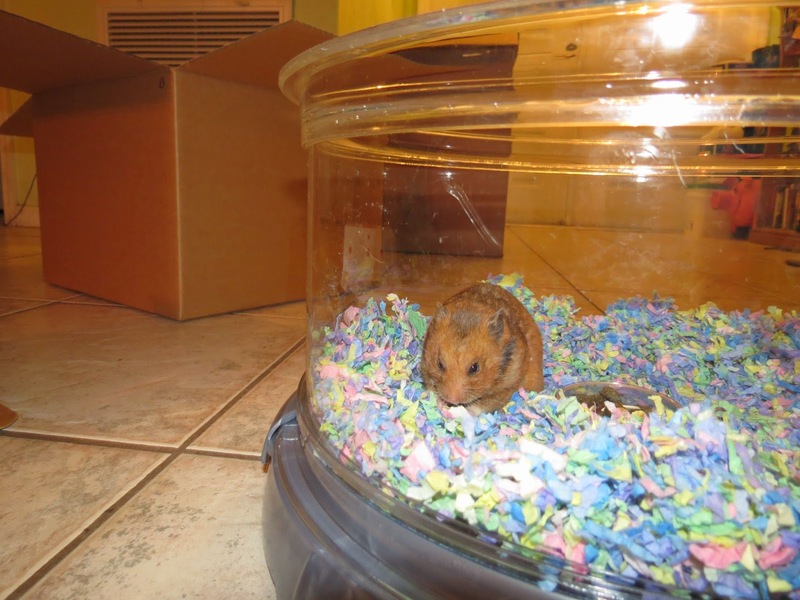 Herman has adapted really well, and he seems to love the BioBubble. It has plenty of room for just him, and it even has room for a hideout, extra bedding, and even a saucer for exercise on the top. To maximize space, I also got him a water bottle, that is attachable from the outside. There is one small issue, that I did come across. After about a week, I discovered that Herman is a "chewer." The riser inserts are plastic, and he has been constantly chewing at them. Luckily, this part is completely replaceable, and like I previously mentioned, I am going to switch over to the cage riser soon, and that is completely metal, and will put an end to Herman's chewing. 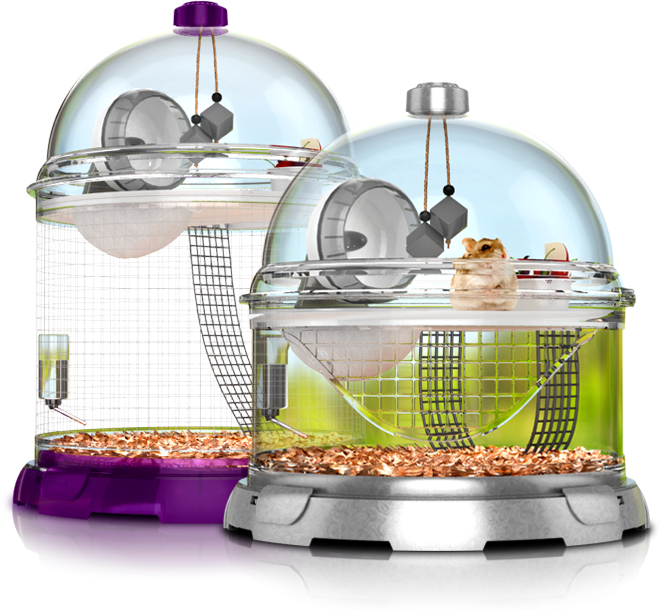 If you are in the market for a new small animal habitat, BioBubble is the way to go. 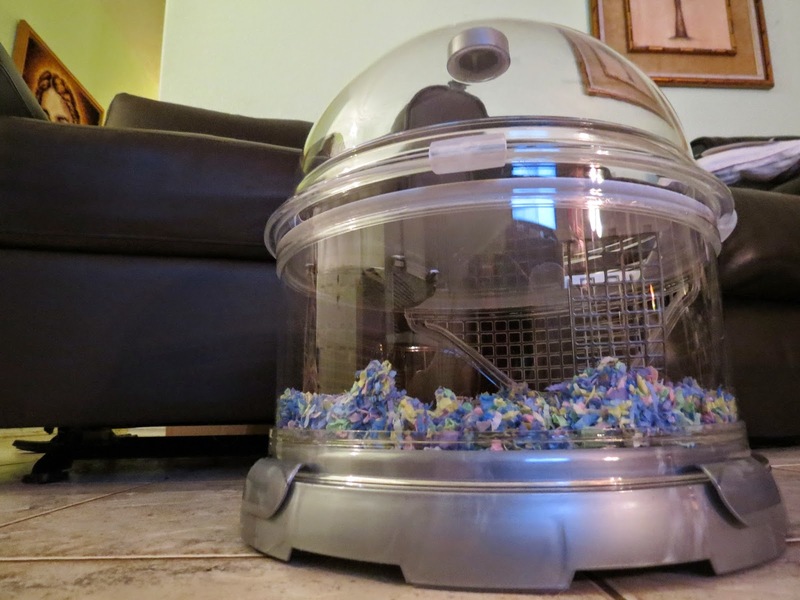 It is the best practical small animal habitat I have ever owned. It has awesome features (Did I mention it has a hammock? ), and the modern feel, just really puts this cage a step above the rest. Disclosure: I received the BioBubble for free, in exchange for this review. All opinions expressed within this post are our own, and were not influenced in any way. Must be 18 years or older to enter. Open to US only, No P.O. Boxes. NO PURCHASE NECESSARY. This giveaway will end on April 22nd, 2014. Winner will be drawn via Random.org via Rafflecopter, and announced on top of the Rafflecopter form, as well as on the top "Winners" page. The winner will be emailed and will have 48 hours to respond to my email before a new winner will have to be drawn. If you're tweeting for entries, you must have an "unlocked" account. The number of entries received determines the odds of winning. VOID WHERE PROHIBITED BY LAW. I'd like the BioBubble premium, because I like the base design. It looks very technological. If I win, I'll have to fight my husband for it, because he'll try to turn it into a robot or something. I think the Wonder Bubble is pretty. But I know you suggested the one you had when I asked on Facebook. It's a bit overwhelming with all the choices! The Wonder Bubble is very pretty, but I guess the BioBubble would be more functional, right? Sorry if I have two comments; I didn't see the first post. I'd love the BioBubble Aquatic. The BioBubble we would most like to have is the Wonder Bubble! The Freshwater Aquatic Kit looks great. 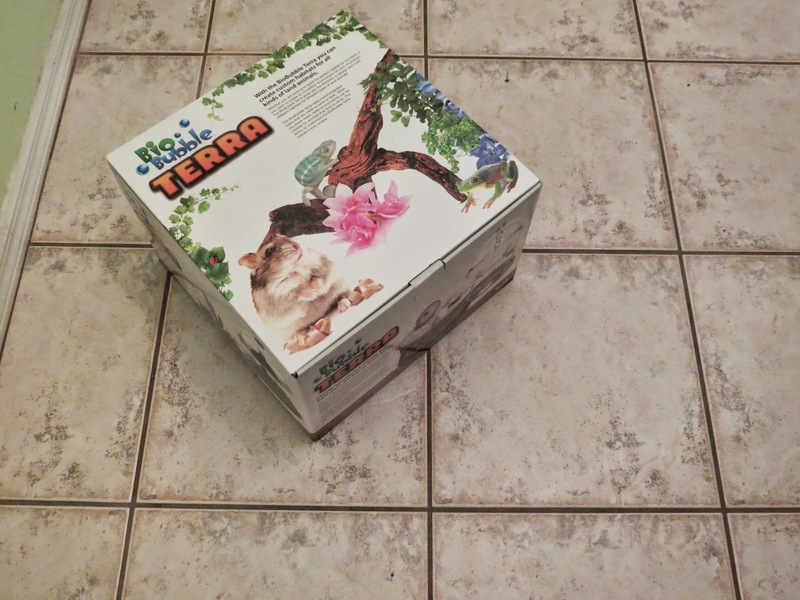 my daughter would love the Terra and add the cage riser, she would have a blast making a habitat for her parakeets.